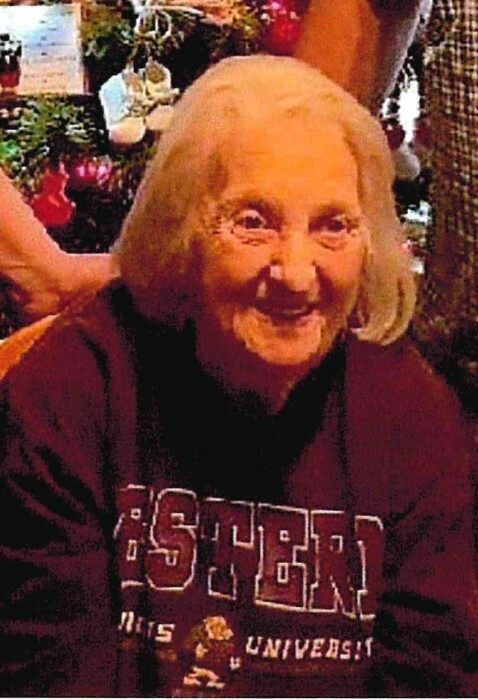 Grace Marie Gerrish, 90, of Harvard passed away on Friday, January 11, 2019, at the JourneyCare Hospice Facility in Woodstock, IL. She was born May 14, 1928, in Elkhorn, WI. Grace worked at the Admiral Corp for many years before working as a Pickle Packer at the Clausen Pickle Factory in Woodstock, IL. She was a member of the First United Methodist Church in Harvard and the Harvard Women of the Moose. 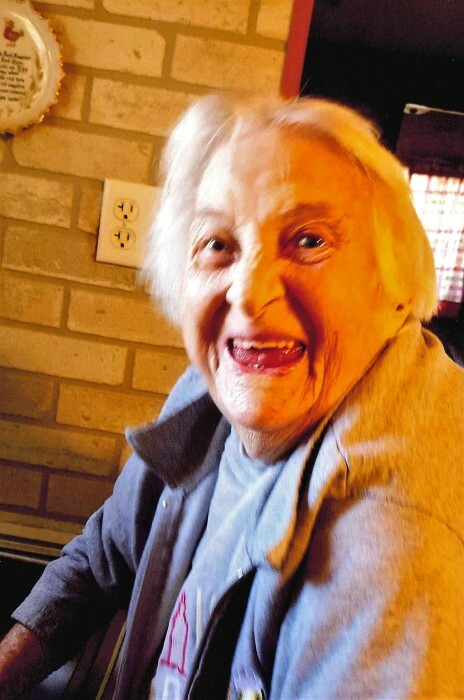 Grace enjoyed crocheting, playing dice, card games, playing slot machines and scratch-off tickets. Grace loved her dog Tiny and her great grand cat Fluff. On November 24, 1947, she married James Ralph Gerrish in Burlington, WI. He preceded her in death on May 4, 2011. Survivors include her children William Gerrish of Greeley, CO, Sandra L. (Terrell) Bellamy of Harvard, Thomas J. (Barry Anderson) Gerrish of Kenosha, WI, and Robert A. (Debbie) Gerrish of Harvard. Eight grandchildren, Carrie Gerrish, Corine (Ziyad) Zakaria, Tina (Calvin) Sell, Terrell Bellamy Jr., Tracey (Mike Lavariega) Bellamy, James J. Gerrish, Nichole L. (Kevin Rowlett) Gerrish, and William R. (Corina Gutierrez) Gerrish; 6 great-grandchildren Aiden and Cora Zakaria, Baby Sell, Mia Lavariega, Jaxson Gerrish and Joseph Gerrish; sister Hazel “Pat” Johnson of Harvard. She was preceded in death by her parents, husband James, and daughter-in-law Debbie L. Gerrish. Visitation will be from 10-11 a.m. on Monday, January 21, 2019, at Saunders & McFarlin Funeral Home, 107 W. Sumner St. Harvard, IL 60033. Funeral services will follow at 11:00 a.m. 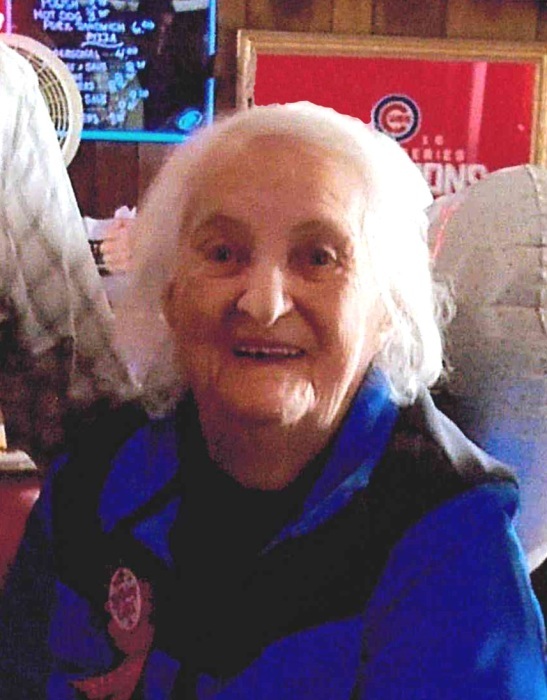 In lieu of flowers, donations may be made to JourneyCare Hospice, 405 N. Lake Zurich Rd, Barrington, IL 60010.